That would be scary if he could.. no way to contain him! Before they were famous: Indiana jones. There must be something on the other side, let's see.. I'm pretty sure that's spot on! I'll just have a nosy through this hole. Ah, I see you've met my son then! I think I can see through to the 'other side'. 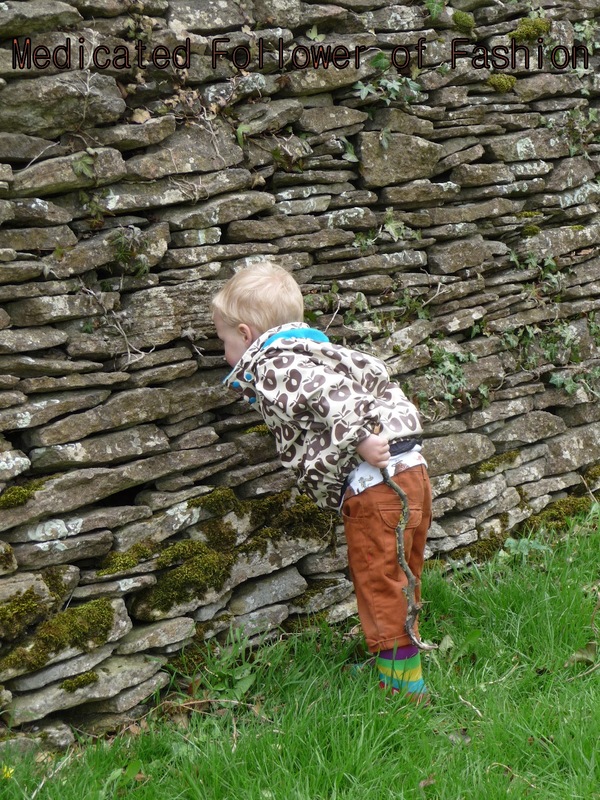 I think I'm going to find an egg in there for the egg hunt, failing that a worm or a lizard. well, they'll all do! Haha.. yup!! He'll try eating pretty much anything! I wonder if I trick the person on the other side of this wall that my stick is a snake. At what point should I confess that I've pushed mum's bank cards and phone in there? Mummmmmeeeee are you in there? !